Do you have drainage problems and need a sewer line repair? If your drain or sewer pipe is partially collapsed, worn out or damaged then Reading Drain Services provides drain and septic tank repair services for commercial and residential customers. 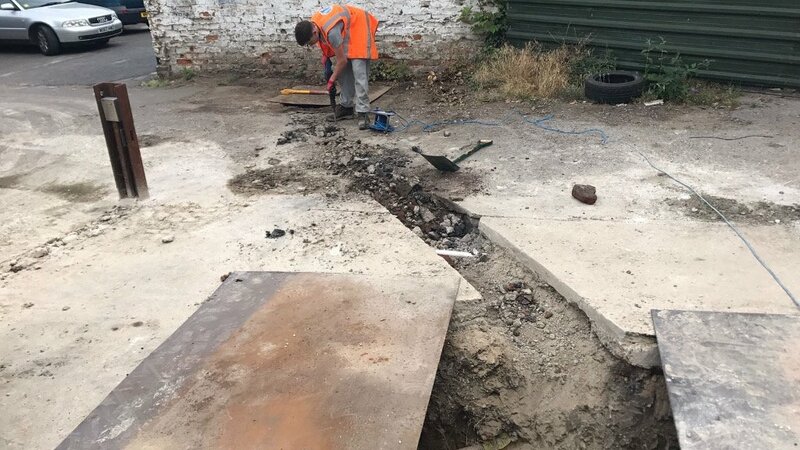 Our team have considerable experience of drain and sewer repairs and replacing broken drains with the knowledge and skills to complete drain repairs in any location. We can provide a variety of drain repair services ranging from repairing manhole benching to fixing collapsed sewer pipes in the road. Underground repairs will vary depending on what we find during our drainage inspection. What Types Of Drain Problems Can Be Repaired By Re-lining Technology? What Are The Benefits Of Drain Relining? If your sewer pipe has collapsed or access is limited then we can provide excavation services in order to lay drainage pipe or replace damaged drains serving your property. Reading Drain Services has invested in the latest excavation machinery and all of our drainage engineers are trained and qualified in line with current legislation and comply with all health and safety regulations for excavation. This ensures that all excavation work is carried out to the highest quality standard. inevitable disturbances can be most concerning. Whenever possible we prefer to rectify any damaged or collapsing drains by way of drain relining and repair. Drain relining, also known as trenchless drain repair is the most efficient and cost-effective solution for pipe leak repairs or after using the drain jetter for roots in drains removal or drain clearance. It eliminates the use of diggers or jackhammers which minimises the cost and the disruption to you. Once the existing pipes have been successfully cleared we can fix your broken or leaking drain pipe by inserting new linings into the pipe, no matter what type, size or length the sewer pipe is. Your pipes are repaired by feeding a liner that is impregnated with epoxy resin into your drain on an inflatable device, once it is in place then, the device is inflated to hold the lining in place until the patch cures. Once the machine is removed you are left with a smooth, watertight and permanent drain repair. Decay or corrosion caused by rust formation from cast iron pipework. A rapid return to functioning drains. Minimal costs compared to excavation. Less disruption without any negative environmental issues. Without the time-consuming excavation, this no-dig method or drain repair is not only quicker but is also a greener, cleaner and a much cheaper solution than the traditional excavation and drainage pipe replacement methods.